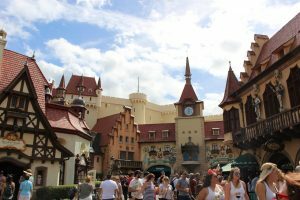 Part II in our eight-part series on visiting the Disney parks for the first time focuses on traveling to Epcot with young children (the 6-and-under set). On the surface, the Experimental Prototype Community of Tomorrow doesn’t seem like the kind of place young kids would enjoy—but believe us—little explorers will find plenty to do. As we mentioned in Part I, every family is different. So, if there are any Disney pros out there reading, please add your own comments and suggestions below. We don’t want to miss a thing. Also, with all the Disney parks, it’s best to arrive when the park opens (rope drop) on a weekday. If you can avoid major school holiday breaks, you will experience less crowds (see article, Best Month to Visit Disney?). When scheduling your FastPasses, you can do so 60 days in advance if you are staying at a Disney Resort. If you are not staying at a Disney resort, you can pick your FastPasses 30 days in advance. 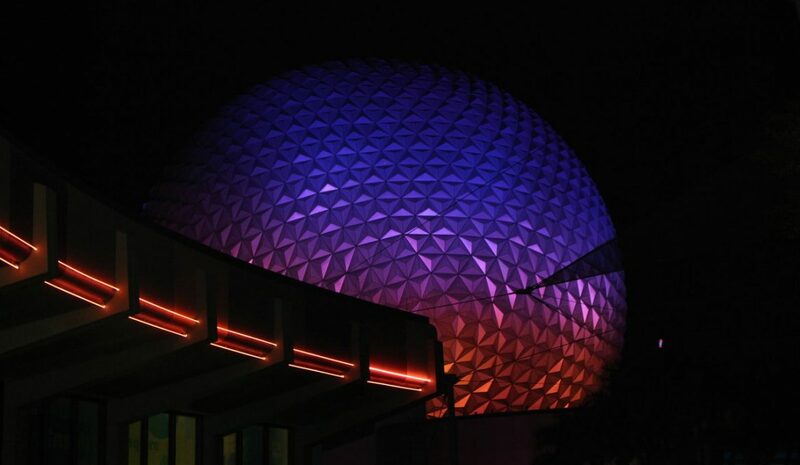 At Epcot, you will have to make a choice between Soarin’, Test Track, or Frozen Ever After. If you have a child into princesses or your children are under 40 inches tall, choose Frozen Ever After for the afternoon. If you have a child who is up to an adventure and is 40 inches, choose Soarin’ in the morning. If your little one loves cars, is over 40 inches tall, and can handle a 60-mile-per-hour lap around a race track, choose Test Track for the late afternoon. The Land contains the most unique attraction in all of Walt Disney World, Soarin’. Soarin’ is a hang gliding adventure around the world. Get here as soon as you can after the park opens if you don’t have a FastPass. If your children are too small (under 40 inches), talk to the castmember at the attraction’s entrance about doing a rider switch (where parents can take turns riding). This one is not to be missed. After exiting Soarin’, board the boats for Living with the Land, which includes a tour of the Disney greenhouses. How Disney grows food is fascinating, and you might catch site of a Mickey-shaped pumpkin or tomato. The Sea contains three kid-friendly activities all in one spot. First, board a clam to visit everyone’s favorite clown fish on The Seas with Nemo & Friends. Next, visit Turtle Talk with Crush. It’s a funny show staring Crush and Dory. Last, stroll by the various aquariums on the first and second floors. SeaBase is a 5.7-million-gallon aquarium filled with dolphins, sharks and sea turtles. Don’t miss the manatees in the rehabilitation tank nearby. 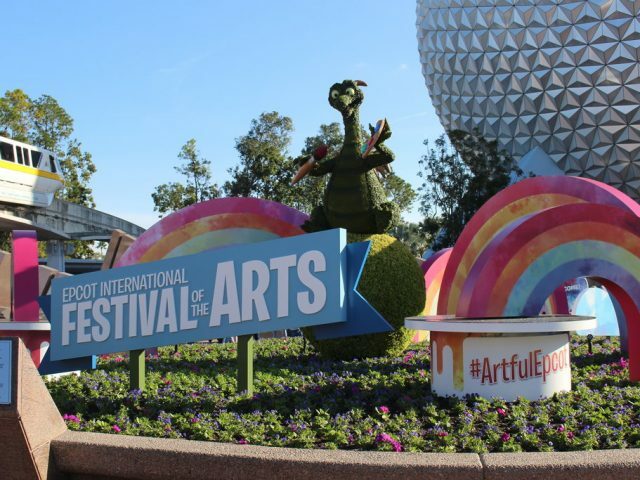 Figment is actually the mascot of Epcot, although he’s rarely seen in the park. Here is the one place he gets to play a starring role. Most people skip this attraction for its silliness, however, kids enjoy it. The interactive play area (ImageWorks) is also fun for young kids. 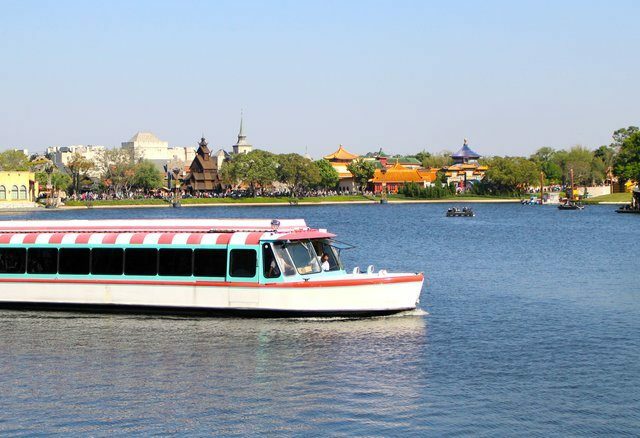 With little ones, you probably won’t get the chance to do a deep dive into the culture of each of the World Showcase pavilions, but don’t let that stop you. There are so many sites, smells and tastes to enjoy. Also, purchase an Epcot passport for your trip around the Showcase. Kids fill in the stickers and then visit the Kidcot Fun Stop in each country for an activity and a passport stamp. We recommend starting your journey in Mexico. Enter the marketplace, then ride the Gran Fiesta Tour starring the Three Caballeros. Next travel to Norway, the most popular pavilion since the arrival of Anna and Elsa. Meet the princesses in the Royal Sommerhus and then catch a ride on Frozen Ever After (a FastPass is recommended). Don’t miss the shops in Norway either. The kids will love seeing the big troll. China, next door, has a fun shopping area and a 14-minute Circle-Vision movie about the country. Sometimes acrobats gather at the main entrance to entertain. 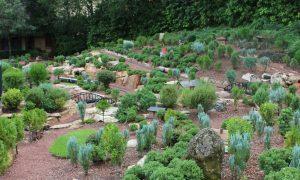 In Germany, the toy shop is worth a quick look, and then on to the miniature trains and village located between the Germany and Italy pavilions. Italy has some lovely photos ops, but kids love it for the pizza at Via Napoli (reservation recommended). In Japan, try to catch the Taiko drummers. If you want to see the best shop in all of World Showcase, visit Japan’s Mitsukoshi Department Store, then drift next door to Morocco and browse its unique market. France is a must do for eating—pastries, gelato, macaroons, crepes, etc. Have one of the street artists cut a silhouette of your child. It’s a precious souvenir. In Britain, there is generally a character greeting with Alice or Mary Poppins. Kids always love to check out the iconic red phone booth (although you’ll have to explain what it’s for). Canada’s offers a 14-minute Circle Vision movie and some interesting wood carvings. 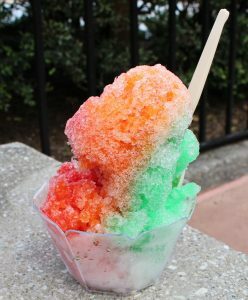 In the World Showcase, almost every pavilion has something amazing and special to try. Our favorites include: churros (Mexico), pastries from the Kringla Bakeri Og Kafe (Norway), appetizers at The Nine Dragons Restaurant (China), soft pretzels (Germany), wood fired pizza from Via Napoli (Italy), Shaved Ice at Kabuki Café (Japan), a sit-down meal at Spice Road Table (Morocco), the fish and chips at the Yorkshire Country Fish Shop (United Kingdom), and cheese soup at Le Cellier (Canada). 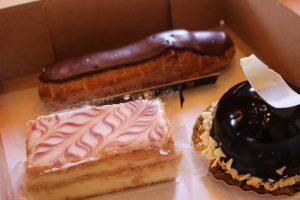 The must-do food option at Epcot is Les Halles Boulangerie-Patisserie in France. It has authentic French sandwiches and pastries. You can even get baguettes. This gem is hidden way in the back, but it’s worth the search. 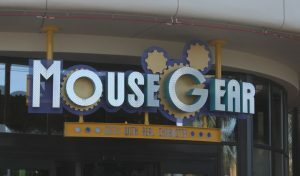 Back in Future World, kids will love all the toys, stuffed animals, and sparkling things at Mouse Gear. 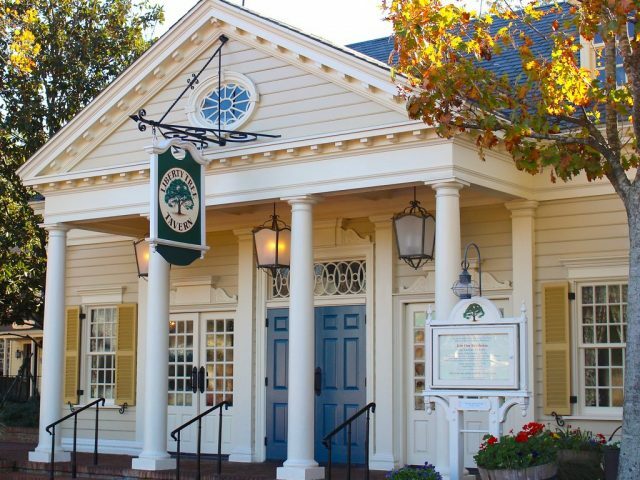 This is the place in Epcot to grab souvenirs. Meet Mickey and friends all in one spot. You can get a FastPass for the experience to make the wait shorter. Usually characters from other recent animated films are also available to visit, but you’ll have to wait in a separate line. In the afternoon, it’s a great idea with young kids to return to your hotel for a nap or dip in the pool. 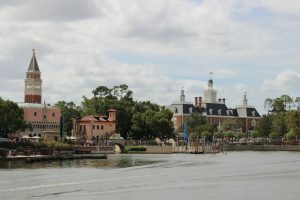 If you are staying at the Boardwalk Resort, the Yacht or Beach Club resorts, The Swan, or The Dolphin, you can walk right back to your resort using the International Gateway located between the France and United Kingdom pavilions. If you want to stay close, but need some quiet for a stroller nap, exit the gateway and walk the path around the Boardwalk area. You can do some resort hopping while your little one rests. For this attraction, a FastPass is highly recommended. 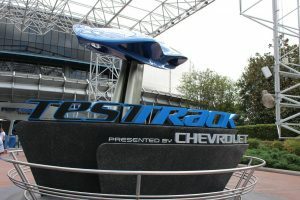 Test Track allows guests to design a virtual vehicle and test its performance. At the end is a high-speed zoom around an outdoor track. This attraction is only for guests 40 inches and up, however, kids of all sizes can visit the showroom connected to the gift shop and climb in and out of various cars. If just the grownups in your group want to ride, use the single-rider line. It moves much faster. The new Green Mission takes guests on a space voyage around earth. Again, this is for kids 40 inches and up, but the attached Advanced Training Lab is an interactive play area for all ages and sizes. You’ve got to go inside the giant golf ball, right? 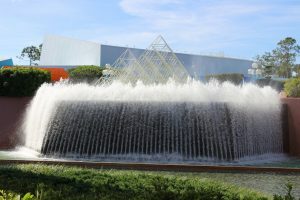 This attraction uses Omnimover technology (an awesome Disney invention) to take guests on a journey through the history of human communication and innovation. When the ride ends, you will be let out into Project Tomorrow, which is an interactive play area. Return to Epcot for dinner at the World Showcase. Choose a cuisine your child loves the best. Our favorites family spots are Teppan Edo (Japan), Via Napoli (Italy), Spice Road Table (Morocco), and the Biergarten Restaurant (Germany). Make sure you make a reservation. If you have kids that are okay staying up late, catch the fireworks show, IlluminNations: Reflections of Earth. It originates from the center of the lake. Make sure you sit somewhere where you can hear the music and narration. The show has a lull midway through. Don’t mistake this pause for the end or you’ll miss the grand finale. Congratulations! You just had a magical day.